ONE LOVE ONE VOICE is a single from ERIC's up-coming album. The video has cameo appearances by Timi, Omawunmi, MC Abey, Dizzy, Onos and Praise (of MTN Project Fame). The video was shot entirely in Lagos and was directed by Frizzle & Bizzle of FRIZZLE N BIZZLE FILMS . 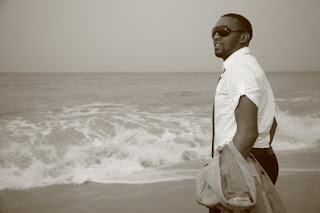 Eric Arubayi, a Nigerian singer/songwriter, born to a family of four from the Niger Delta region, was the 4th runner-up of first season of Idols West Africa. He can be described as a classic R&B/Soul artist whose music basically summarise the basis of our existence, survival and hustle through life: Inspiration, Love and Motivation. R&B Legends like Brian Mcknight, Stevie Wonder and Boyz II Men have greatly influenced his style of music, especially as a song writer. Eric is presently working on his first album and has officially released three singles: I Go Make Am, Mr. DJ and One Love One Voice. The album speaks of hope and love, garnished with some cultural beats, making it appealing to various Nigerian cultures, but with a style that is nothing short of International Standard. Since West African Idols, Eric has appeared on numerous TV and radio shows; toured with casts of the “1st Season of Idols West Africa” around the country; been a judge on The Centage Superstar talent competition; and performed at several shows and events around the African continent. Eric Arubayi is touted to be blessed with a charming smile that can break through barriers. With his sensational charisma, endearing voice and inspiring songs, he is truly a new-age African who is absolutely passionate about the art of music. Eric rocks always. I like the message behind the video. We no need to fight o we need to unite o.